Are you looking for a dazzling smile? If so, Hollywood smile veneers and lumineers can be the answer you have been waiting for. Hollywood smile veneers are covers for your teeth, made of thin shells that look perfectly natural. Veneers produce a bright and healthy smile! With our current promotion, this is the perfect chance to get a 5 start treatment at a great veneer price in Dubai today. 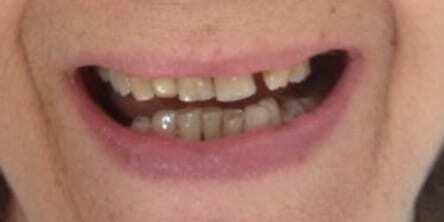 A number of cosmetic defects can be corrected through dental veneers by an aesthetic dentist. If you have crooked teeth, discolored teeth or even gaps, a Hollywood smile veneer treatment is the best solution to correct dental irregularities. Cosmetic dentistry has made great strides that veneers look better and more natural today than they ever did! A veneer fits seamlessly with your original tooth and can be customized to any shape or size. All it takes is two sittings at the dentist office, and you will have a straighter and healthier smile. Dental veneers will give you the confidence to smile again. Why should you consider veneers in Dubai? 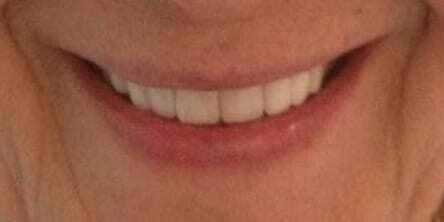 Hollywood smile Porcelain veneers are beneficial to improving the appearance and structure of your teeth. There are many circumstances in which you can consider getting this procedure done. The dental veneer price and quality available at Montreal International Clinics is second to none. Why Choose Us For Veneers In Dubai? When you consider a smile makeover, whether it is for functional or an aesthetic purpose, a great option is the Hollywood smile porcelain veneer treatment in Dubai at Montreal International Clinics. It is a dental restoration that is one of the most sought after and effective dental procedures performed in our clinic and in the world. 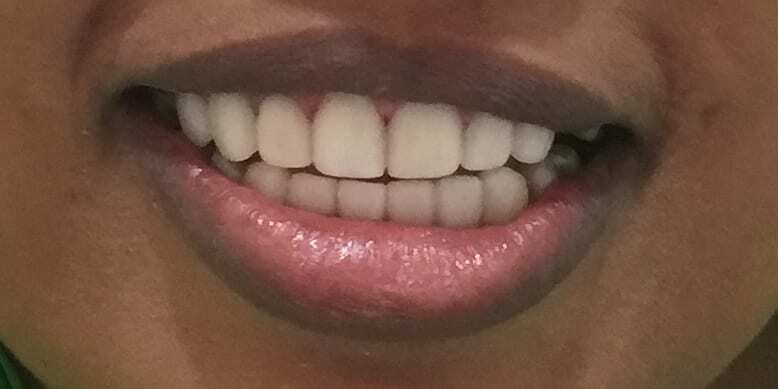 Every smile is unique and not the same veneer style, shape or size will look great on every patient. 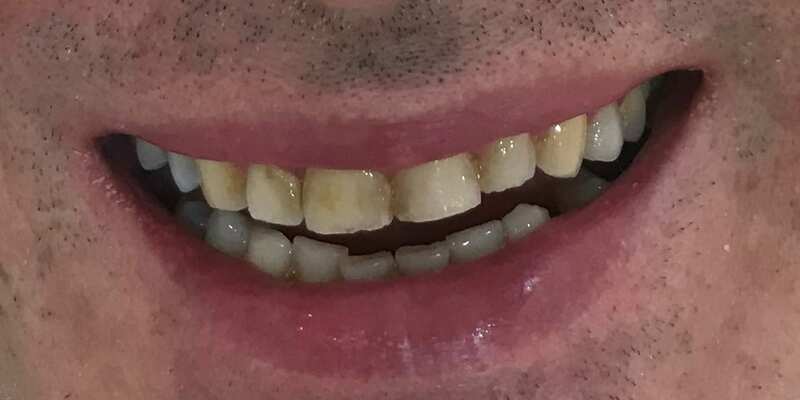 Our individual veneers are created to fit a particular person’s smile according to their dental impressions and desired outcome so that the procedure is perfect. We ensure the highest quality material is used which gives your teeth the perfect shape, colour and natural characteristics. You’ll get the smile you’ve always wanted at Montreal International Clinic in Dubai. For prep veneers, your dentists will remove a micro amount of enamel, from your natural tooth to be replaced with a veneer. An impression of your tooth will be made in the laboratory to create the permanent veneer. Patients can choose the shade and tone of the veneer as well as the size and shape, to match the rest of your teeth. A temporary veneer may be placed until the permanent veneer is ready a few days after the impression is taken. This gives the patient a feel of what it is like to have a veneer attached to your tooth. Once it is ready, our dental specialist will evaluate how to place the veneer. We will inspect it, trim it, remove it and repeat the process until both you and the dental specialist are satisfied with it. 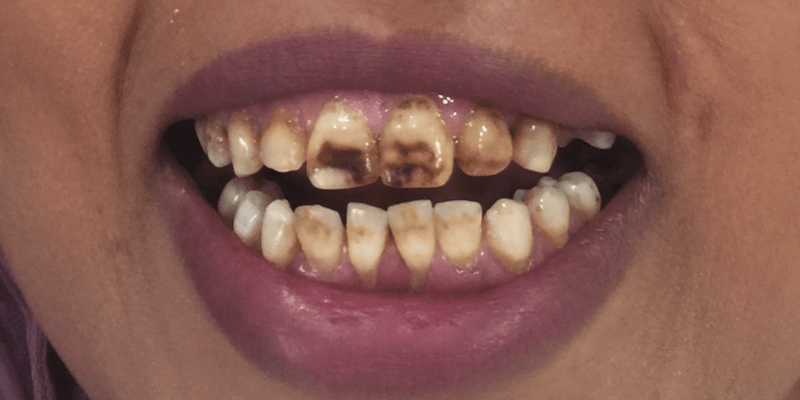 Thereafter, we will bond the veneer to your tooth with permanent cement. The whole process is done over 2 visits, a few days apart. 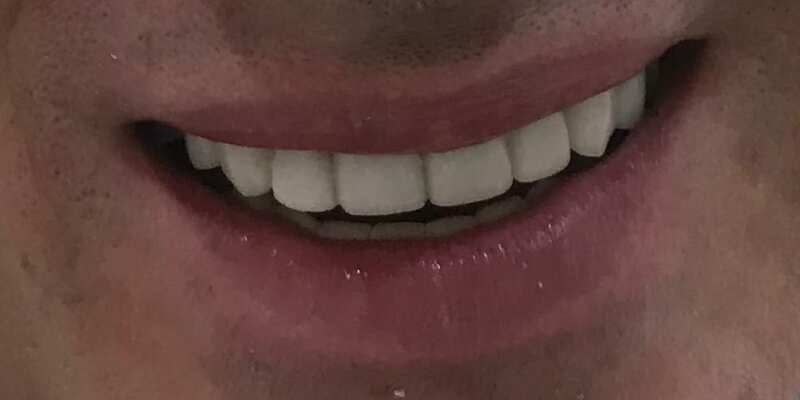 For non prep veneers, the procedure is similar however, no enamel is removed during the treatment, as non prep veneers are thinner and the dentist can manipulate the veneer to completely cover your tooth giving the desired shape, size shade and color tone without the need to remove the enamel. Ask your dentist which is right for your case during your consultation, to get an individualized answer as for some cases non prep veneers may not be as durable as prep veneers. Veneers are long lasting and offer our patients the healthy and stunning smile you’ve always wanted. We guarantee dental veneers look as natural as your original teeth. We specialize in high quality dental veneers. Our highly qualified dental surgeons are US certified and the material we use for our veneers are international standard. We have performed over a 10,000+ successful veneer procedures for our clients. Montreal International Clinic offers a written warrantee on our work. When you take a chance on us, we ensure it serves as an investment for you. Each individual case will be catered according to specific requirements. We believe every patient is different and, therefore, offer personalized treatment. Our guarantee is as follows. We offer a 5 year warranty on dental veneers. We request the patient practice good oral hygiene at home, and return to our clinic for regular dental checkups. We have one of the highest success rates for Hollywood smiles and thousands of satisfied patients up to date. If a patient’s veneers break due to chewing on ice or jaw breakers, or physical trauma, it will not be covered under the veneers warranty. It is covered under normal veneer use, and can be replaced or repaired. In order to be eligible for the warranty, patients must follow proper rules and guidelines. For international patients who cannot return to the clinic, we need written proof that you have visited a dental clinic locally and undergone bi-annual checkups, cleanups etc. Avoid chewing ice/ jaw breakers. Accidents or trauma are not covered. For certain cases, a night guard must be used if recommended by your dentist for patients that grind their teeth.